This is a 1902 Magazine Print of a Photograph by Black! The size of the print is approximately 5x6inches. 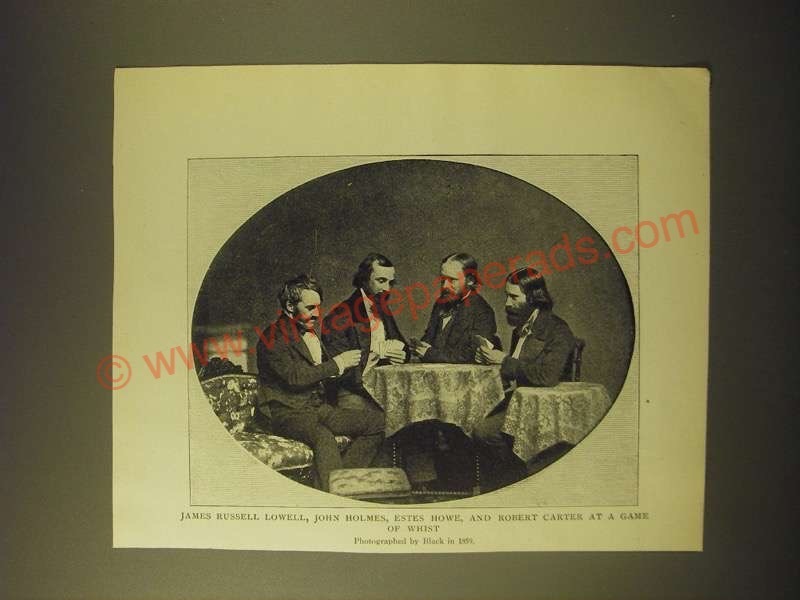 The caption for this print is 'James Russell lowell, John Holmes, Estes howe and Robert Carter at a game of whist' The print is in good overall condition, with some light wear. This vintage print would look great framed and displayed! Add it to your collection today!